I have suffered with foot pain for 2.5 years now. I have had MRI, and X-rays which show no tears, showing a heel spur, inflamed plantar fascia, inflamed post tib tendon, and the nerve that runs through tarsal tunnel area. There is fluid around the tendons as well. Approximately 4 months ago I opted for a Hyprocure stent that is supposed to help with these problems. The Doc also ground down my heel spur at the same time. My heel pain is much better now, but I still have arch pain and post tib pain, and what I think is a bit of tarsal tunnel or nerve pain. I have tried everything that I could imagine. Dr Blake's comment: This device helps with pronation like orthotics on a permanent basis. It will help the mechanics, but not the inflammatory or neuropathic pain. I had to drive out of state to do the Hyprocure so that doc is a very long drive. I went to a more local (1.5 hr away) doc 2 weeks ago and he gave me a Trilok brace and injected traumeel and did a 3 min shockwave. Dr Blake's comment: Why not normal physical therapy? Have you tried it? Where was the Traumeel injected? The brace looks good, does it help some of your symptoms? I believe the only thing that helped at all was the brace. Went back 2 days ago and ended up doing 2 cortisone injections. One towards the plantar fascia, and one near the tarsal tunnel area. It seemed to help so far. The problem is, 2 years ago I had a cortisone shot that worked but only for 4 or 5 weeks. I have a home ultrasound and an afx machine which is for strengthening the foot for plantar flexion, dorsiflexion, inversion, and eversion. Dr Blake's comment: Please be cautious with the shots. Could not find reference to afx machine, but definitely, continue to strengthen your foot and ankle so you do not de-condition. I have really considered buying an AFO such as the Deroyal Element Sport Ankle Brace. Dr Blake's comment: This is not an AFO, so not sure if any better than the other brace. I hear from your email that you are trying all these things, but what about starting all over with a removable boot placing yourself at least part of the day in the Immobilization Phase with daily foot, ankle, and leg strengthening work. This should include core work and some cardio (can you swim, use an elliptical, or ride a stationary bike?) Main question is what does it take to get you to 0-2 pain level and then maintain that? I'm just not for sure when I need to strengthen and stretch, vs just keeping it immobile. I have studied on these issues for many many hours and finally came across your website. AWESOME! Thanks for all you do. I am seriously depressed for the first time in my life and I'm running out of options. The only other solution from one doc was a complete reconstruction. That seems like too much considering nothing is torn. I am a very healthy 43 yr old male, normally pretty active (not now) 6 ft, 225 lbs with quite a bit of muscle. I am even losing weight just to see if that will help. Any suggestions on the timing of strengthening or bracing after cortisone injection? Hello, thanks for the response. I did try physical therapy and didn't have much luck. After the hyprocure surgery, I did the physical therapy on my own using ultrasound and ankle foot maximizer (afx). I also used a blood flow stimulation therapy wrap (electromagnetic heat). For some reason, any orthotics custom or otherwise seems to aggravate the arch area now. Dr Blake's comment: When the posterior tibial nerve is irritated, off the tarsal tunnel, patients have an intolerance to orthotics. Which means to me that the primary direction of your treatment has to be neurological and not mechanical. Read my postings about nerve pain, they are some the same treatments we use for CRPS (like the meds and Calmare or Quell). 1) I believe I have the Ossur air walking boot from the hyprocure surgery, would this work for part day immobilization? Dr Blake's comment: Only in the evening. Never through pain that does not get better with 10 minute icing after, or sharp. It can be sore due to the nerve irritation. Start with active range, then isometrics, then progress to progressive resistance. May want PT to guide you. See my video on Posterior Tibial strengthening for the order. 4) Icing, ultrasound, or bfst wrap? A recap - about 18 months ago I began to have swelling in the ball of my foot which soon showed up in my other foot. Went to many doctors who kept telling me to rest and if I had pain it would not heal etc. After an MRI the doctors said I had stress fractures in the Sesamoids in both feet. Went to multiple physical therapists that could not help either and I kept getting weaker and weaker. I lost about 30 pounds, started having pain all over my body. I got so weak I struggled to even take a shower. If I had to walk much I used a wheelchair. I went to doctor after doctor and tried OTC orthotics, custom orthotics, walking boots, cortisone shots, opioids, antidepressants, tons of different shoes but nothing seemed to help. I went to many PT sessions over 4 months with two different physical therapists and that did not help either. Finally, after 10 months a lady from my church suggested I contact a physical therapist that she had used with success. She saved my life! I began therapy and the first day she had me cancel my appointment with a particular Orthopedic surgeon and had me schedule with a different one. Obviously, a PT knows which surgeons to go see since they have to help everyone rehab after surgery! We had several sessions and after a few weeks I was getting stronger but the pain was getting worse. I went to my appointment with the Orthopedist and my PT went with me! (That should tell you how bad of shape I was in!) I had seen Psychiatrist, psychologist, Internist, Podiatrists, Orthopedic surgeons, Rehab specialist and the Physical therapist helped me more than anyone had so far! The doctor said I had AVN but told us that I had to fight this and I was basically released to full activity. From that point, the therapy got a bit more intense and the pain for two days after each session was terrible. The PT kept telling me I would get better and to just push through it. I was now more active but my feet hurt and got much worse as the day progressed. They had gotten so weak from all the resting that I heard comments like your feet feel like baby feet. Well the PT was right - I'm still doing the exercises she showed me and I'm able to do anything I want to do. I still have some pain when I sit for a while but once I get moving the pain goes away. The PT expects I'll still have some discomfort for the next 6 months but expects it to totally go away by then. I wanted to share some of the things I did that helped me the most. I'll never know for sure what caused all my issues but I suspect shoes were a part of it. Never stop moving - that led to weakness all over my body and hip, back, knee and foot issues. The PT suggested Asics shoes - I tried them on and immediately they were wide enough to take pressure off the sesamoid area. I had tried Altra, Hoka, New Balance etc and the Asics were the only ones that were wide enough for my feet and did not have too much cushion. Initially, a stiff shoe was OK but later I needed to have flex back in the shoe. Cushion is not necessarily a good thing in shoes - My feet really don't have much cushion on the fat pad so I thought that a more cushion shoe would help but it actually made things worse. Specific exercises that helped - Wobble board (stretching and strengthening), Busu Ball (marching), foam wedge (stretching while standing), Side lunges, riding a stationary bike, Walking (making sure to walk normally), Marbles (pickup with toes), Standing on one foot and planks. Also used a Total Gym to help with upper body etc during this time. Orthotics are not necessarily good for your feet - I think they actually caused more damage than they helped. Once my feet got strong again I really didn't need them. Dancer pads caused all kinds of pain for me- I think I may have needed them in the first month but after the bone healed they had to go! Lots of stretching will help - use the foam wedge mentioned above and do the gastroc stretch. It doesn't seem to do anything quickly but over time will help. make sure to do a warm-up before stretching or you'll cause more issues. A spikey ball will give a deep tissue massage. You can find them on Amazon and it really helped me early on. If anyone is having trouble like me my thoughts are with you. I wouldn't wish this on my worst enemy but thank God the worst seems to be behind me! I came across your blog while I was searching for my chronic PF's cure and I have enjoyed reading your great insights.on foot problems. I have been suffering from PF for the past 5 years and I had been to 5 or 6 different podiatrists here in Tampa area and tried both custom and over the counter orthotics for my PF relief but to no avail. During this process, I found that each doctor has their own protocol to treat PF and I got very vexed with these doctors after failing to get any relief from the last doctor's multiple steroid injections(7-8) which were given to me more than a year ago! I sincerely wish I am living in the bay area (SF) so that I can come to your office. THANKS again. Are you a Golden State Warrior fan? I wonder if you have any articles on what the injuries were for Stephen curry, his treatment, and subsequent surgeries. Also, here in NYC, we have the NFL New York Giants. A few receivers had serious injuries. Odell Beckham Jr is the most famous player. I could be mistaken but when NFL and NBA and MLB players get seriously hurt it seems like they get surgery rather fast. It would be a TREAT if you wrote some articles on the more popular and famous athletes and some of their surgeries etc involving the feet. It was great to see you. The modification has made the Salomons much better. I did not see Oboz on your recommendations list. I tried on a pair yesterday at REI, and they felt exceptionally comfortable, better than the Keens I’ve been wearing for the past few years. Have you had any feedback/information about them? Only the Sawtooth was in stock; hard to tell what the difference between models is like from the website, but all look pretty good to me. I wanted to respond to you and your readers with a hopeful update. Since I emailed you, I have had very successful healing that I’m sure will only continue to improve. Dr Blake's comment: I have attached the original post that was sent and answered. Per your advice, I began using a dancer’s pad (Dr Jill’s Sesamoid Gel Pads from Amazon) daily, icing my foot twice a day for 10 min, and contrast bathing with super elevation. After only a couple weeks I began to feel tremendous improvement. I have begun walking in tennis shoes around the neighborhood to continue weight-bearing and re-teaching my foot how to walk again. Every week I am improving. I have not used the boot much at all in the past two weeks and instead use tennis shoes with the dancer’s pad. I can’t believe how much better I am feeling. I’m about 95% pain-free and continue to gradually increase the range of motion in my big toe. The swelling is down - though not all the way gone - and I had my third visit to the podiatrist last week. 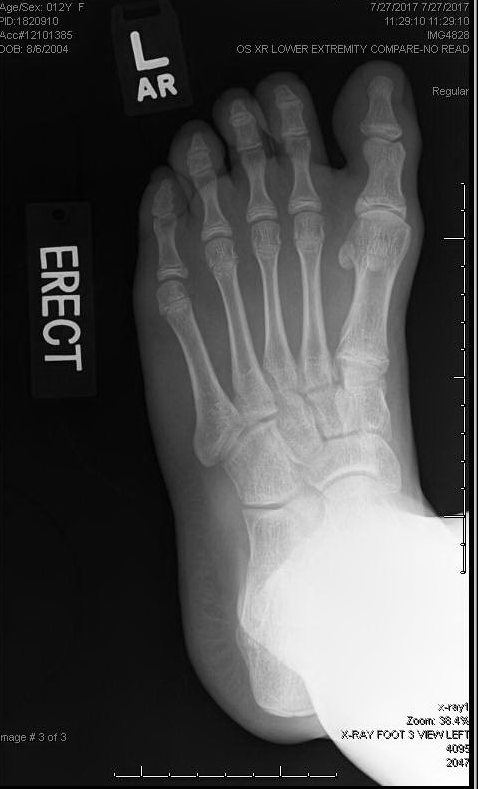 She reviewed my newest X-Ray and said it looks like a “fibrous union” of the sesamoid bone has occurred/is occurring. I told her what I had been doing and she said to keep it up. Thanks to you for this blog and all the tips. I’ll continue them and can’t wait to keep improving. I want to check in with you to confirm diagnosis and treatment you gave me this week. Again I sincerely thank you for taking your time and listening which is something I normally do not see from health professionals. Also, thank you for actually looking at the MRI which strangely most Doctors (except Dr Loosli) did not attempt. Dr Blake's comment: Yes, that is my diagnosis. Acute ankle pain, out of the ordinary on 6/27/17, which has hobbled you ever since. It is easy to focus on the wear and tear arthritis in your ankle, but something different happened that day, that is normally a stress fracture due to the impact of tennis and the over pronation of the ankle. Please confirm this diagnosis. This is all makes sense now after researching normal symptoms. Obviously 37 years of USTA competitive tennis and hiking Mt Diablo contributed to overuse. This all started with a major ankle injury in 1963 playing basketball (stepping on top of players foot) in High School. I have injured this ankle many times over the years, most significant 2009, and I only made stress fracture worse by playing on it for the last year or two. I completely stopped playing tennis 6/27/17 and since then have only walked on a flat surface up to 45 min. I have re-injured since 6/27/17 a total of 7 times due to things like gardening, using a ladder to install lights, light hiking, etc. Right now it feels strong and I walk every day 45 min with no pain or discomfort. Dr Blake's comment: The ankle has the most pressure internally, exactly where his fracture is, when his ankle is at a right angle or bent forward (as in a squat). The heel lifts are to keep him slightly plantarflexed at the ankle not to crowd the joint. 5) continue walking flat surface using wrap around brace. Please confirm above treatment or add or edit. You told me it will take at least 1 year to heal and to monitor with another MRI in January 2018 and 6 mo later. Dr Blake's comment: Another MRI in January will tell us if you are healing, and by approximately how much. This will be 6 months from your first MRI. Each month you do more activity to test how it is doing. So, think about what you will add in November, and then in December, and then in January. We want to slowly stress the area and see how it responds. You also suggested I take bone density test (scheduled tomorrow) and get you copy. You also suggested I look at Vit D level and I believe calcium level. I know Vit D level is good (47 Ng/mL). Calcium 9.2 mg/mL on 9/20/17. Dr Blake's comment: I know Vit D is 32-80 normal range, and calcium is below 10.1 over 40 years old. Which we both are!! 1) Is there a way to speed up significantly the healing process? For example, wear a boot or plaster cast for several weeks, then rehab? Dr Blake's comment: Time, not irritating the tissue, bone stimulation, contrast baths for a deep flush, various braces and/or orthotics, and then a gradually ankle strengthening program. Immobilization always weakens the bones, so we need to create that 0-2 pain level and slowly increase function. 2) What was your source(s) of diagnosis? I believe you based on my symptoms and MRI. Dr Blake's comment: The MRI can be read as stress reaction, stress fracture, bone bruising, arthritic changes, but the acuteness of pain on that one day is diagnostic for a fracture until proven otherwise. And, good medicine dictates that you need to treat the worse case scenario (in your case a stress fracture that could lead to a full fracture and major disability). 3) Can special heel inserts be made for my shoes? Can you do this? Or perhaps another specialist you can refer? I have seen Dr Jason Hiatt in Walnut Creek and 2 other Podiatrists. 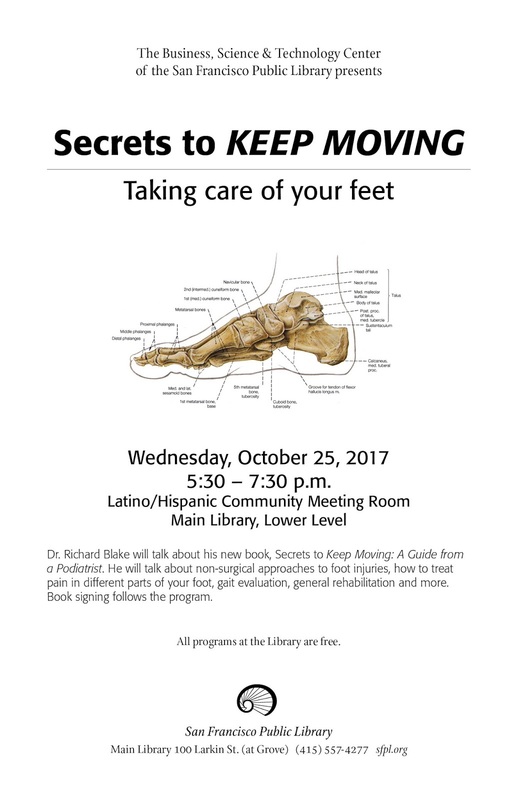 Dr Blake's comment: The biomechanical change is simple, and most podiatrists, shoe repair cobblers, and running stores to give or make them. It is up to you to tell us if they help. 4) Is my walking every day prolonging the healing process? Should I just stop all weight-bearing exercises? 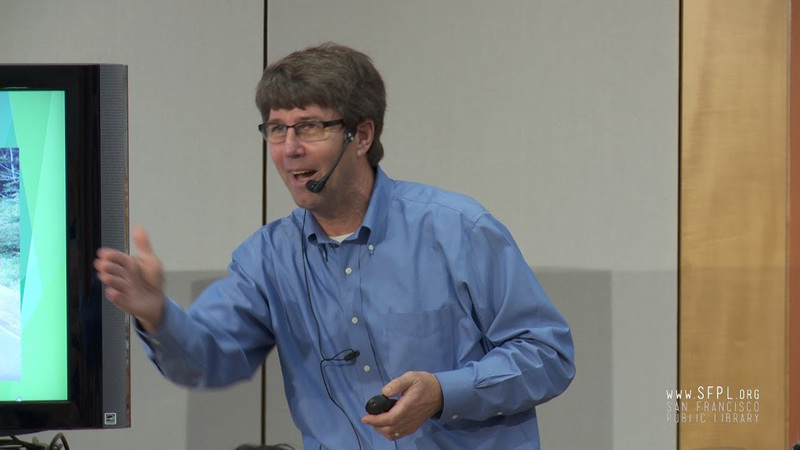 Dr Blake's comment: We have to create the 0-2 pain level, and or course, stop when the pain comes on with activity. Or, have the brace ready to put on. 5) After my ankle heals, am I risking injury again by playing tennis? Thank you for everything and you are the best! Most of you who have been reading my blog realize that I am not too computer savvy. I can not even type that fast. But, I hope this link gets you to most of my videos. Any suggestions for other videos can be emailed to me at rlb756@gmail.com or left as a comment here. Thank you. I am excited to be at the door of 2 million views!! Thank you and I look forward to more. Thanks so much for your blog--I've learned a lot. I'm a 60-year-old, 5' 8" guy. 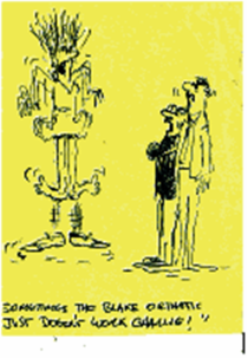 I have had overpronation and "flattish" feet--if not exactly flat feet--all my life. 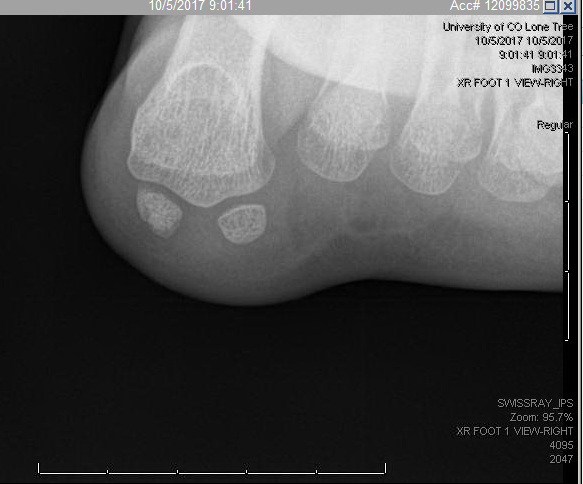 Both my feet have problems, the right foot being worse. (My right leg is a little longer and the right foot is more overpronated than the left.) I have tried orthotics, but the only one that I liked is the "Dr Roberts Orthotics," which was discontinued 25 years ago. (It corrected the overpronation by re-aligning the gait by putting pressure just behind the arch on the outside of the foot.) If I had been able to wear these orthotics for the past 15 years, I might not be having these foot problems. Seven years ago, I went for a series of day-long hikes and injured my feet. I weighed 250 pounds back then; I'm under 220 now. Both my ankles were swollen at the end of the day. Now, seven years later, my right foot still hurts after I start walking a bit. The throbbing pain is below the ankle on the inside and across the flat of the foot. At first, an orthopedist thought that I had partially torn the post tibial tendon. He gave me a diagnosis of PTTD/flatfoot and thought that surgery would be required. But the MRI shows that the tendon is "intact." There is "mild tenosynovitis" of that tendon and others, as well as some beginning arthritis in the foot. I'm attaching the radiologist's report and the X-rays in the following email. My left foot isn't as bad but has pain in the ball of the foot. I suppose it could be the post-tib tendon here too. I don't have any imaging of this foot. From reading your blog, it seems that I need better orthotics and appropriate physical therapy to strengthen the tendon. I'm in the Raleigh-Durham area of North Carolina and am not sure where to turn. It's not difficult for me to get orthotics made (again) or find a physical therapist (again), but it's hard for me to know whether I chose the right people. Is it possible that you know someone in my area who could help me? Or perhaps it would be better to get the proper orthotics and do the tendon strengthening exercises that you've posted about? Dr Blake's comment: Thank you so very much for emailing. Please first look for Dr Doug Milch in the North Carolina area. Also, contact the Root Functional Orthotic Laboratory and Richey and Company and see if these labs can give you recommendations of places and doctors that will design the Inverted Orthotic Technique for flat feet. I wanted to thank you so much for all the information on your amazing blog – it has been such an incredible resource as I have been trying to help my 13-year-old daughter (gymnast and ballet dancer) with a sesamoid injury (stress response versus stress fracture). I was wondering if you would have time to provide some input on her case. We live in Denver, but would be happy to arrange payment to you for your usual office fee for you to read through my email and provide a general response to some of my questions. Or I would be happy to make a generous donation to support your blog J. I would even consider flying out with my daughter for a visit if this is something you would suggest after reading my email. I myself have had foot pain for 18 months - probably hallux limitus after reading your blog – and could benefit from a visit as well!. We have an HMO type plan so it would not be covered but would be happy to pay out of pocket. I can also send x-ray and MRI images on disc if you think this would be helpful. Dr Blake's comment: Thank you for your kind words. Please email the disc to me at Dr Rich Blake 900 Hyde Street, San Francisco, CA, 94109. It is a free service so no money is expected. 13-year-old very active female PMH significant for Severs Disease on and off since age 8. Competitive gymnast (3 hours, 5 days/wk, year round) ballet dancer (on pointe since age 11, usually 1.5 hrs/wk year round and up to 3 -4 hrs/wk week when rehearsing for a show) and swimmer (2 month summer season only, stops dance during this time). She first noticed some “big toe pain” during gymnastics competition season in the winter of 2017. Very mild, mostly with vault. Was able to dance en pointe in a spring ballet show in June 2017 without significant pain. In late June 2017 developed progressive pain in balls of both feet while vaulting and doing vaulting drills (sprinting down the minimally padded vault runway in bare feet with ankle weights). The pain was up to a 6-7 when vaulting, but had minimal pain on other events and only intermittent mild pain when not at the gym (though noticed pain with flip turns at swimming). Did not dance at all during this time as she said she was sure pointe would hurt. After a few weeks, she stopped vaulting/running but now had pain on other events at the gym, especially when going into releve on beam (high toe). In mid-July took a week off gymnastics to see if the pain would resolve but continued to swim and started PT (massage, ROM, ultrasound). The pain was mild and intermittent mainly just with flip turns at swimming but PT found a very tender spot on the ball of the right foot so I took her to see pediatric sports medicine specialist in late July 2017. Here a separate on the tibial sesamoid is noted. Bipartite? Fractured? You can tell by the smoothness of the separation of pieces probably bipartite. However, you can fracture the loose junction of material between sesamoid pieces in a bipartite sesamoid. The right side also has this smoothness between the parts of the tibial or medial sesamoid. Dr Blake's comment: With the symptoms she had, and the bipartite nature, you have to put her on fracture protocol (treat the worse case scenario). Typically this is 3 months of restriction of toe bend and off-weighting plantarly. More later. 7/28/17 MRI right foot: The medial bipartite sesamoid at the first metatarsophalangeal joint has abnormal signal and abnormal adjacent medial collateral ligament and superficial plantar soft tissue. In comparison with the medial bipartite sesamoid of the left foot in the same location, the appearance is asymmetric. The distraction of the fragments with edema and abnormal adjacent medial collateral ligament appearance is more concerning for the potential of fracture/chronic distraction stress injury upon the fragments rather than simply sesamoiditis. Dr Blake's comment: What side is worse? I am confused since they are talking about the right foot, but then the left sesamoid? 7/28/17 MRI left foot: Bipartite medial sesamoid at the left great toe with mild marrow edema representing sesamoiditis versus stress reaction. No definite fracture line visible. Dr Blake's comment: If I am reading this correct, the right is the worse by far. Is that the way it is clinically? She wore bilateral boots for 1 week while we're on vacation with a reduction in pain. Based on the MRI report he said he did not see fracture line to suggest stress fracture but that the bone was very inflamed and he suggested bilateral walking casts as the quickest way to get this to resolve. The expectation was that this would give her the fastest healing and allow her to return to her activities ASAP. Dr Blake's comment: This is a doctor who wants her better, has compassion, but most sesamoid patients should be told 6 months from the get-go, and if it goes faster, great. This time frame is hard for docs to do. Even yours truly!! Bilateral permanent casts were placed when we got home from vacation on 8/2/17. She had difficulty walking in the casts as they were up to her knees and had to use crutches and swing her feet so I would say she was also partially non-weight bearing during this time. She remained in the casts for 2 weeks on the left and about 3.5 weeks on the right. She had a lot of heel pain in the casts which were attributed to her Severs but her sesamoid pain seemed to decrease and perhaps even resolve completely during this time. She wore a Hoka One One shoe (Bondi 5) on the left until the cast on the right came off and then wore the Hokas on both feet. She continued to do upper body conditioning at the gym but no impact other than walking while in casts. Dr Blake's comment: One of the reasons I hate permanent casts is that you can not really work on the inflammatory pain or the neuropathic pain which develops. You need to be icing, contrast baths, pain-free massaging, even pain-free PT at times. The casts ruin that option. Not to say it was not the right thing to do that this time. After she came out of the casts she had severe heel pain on both sides attributed to a Severs flare. It was so bad there was a concern about CRPS as she had some color changes and a bit of swelling around the Achilles insertion on the right but that seemed to resolve with ice, stretching and PT. (After reading your blog I now realize the importance of making sure she was in a “pain-free environment” in regards to her sesamoids while transitioning out of the cats into her Hokas, but I did not realize this at the time - I thought the casting had treated the sesamoid issue). Dr Blake's comment: So happy it did not develop into CRPS. Casts are notorious for that. For the next 2 weeks, she did a lot of PT –balancing, hip strengthening, foot strengthening. She would complain of pain in the ball of her foot between her first and second toe, but her PT said her sesamoids were not tender to the exam so he was not worried about this pain and thought it was tendon pain related to casting/disuse. Dr Blake's comment: Why am I not hearing about dancer's pads, with and without, arch supports, to protect the sesamoids? This is crucial. Even as the sesamoid heals, it can be very sensitive, so protection, massage, anti-inflammatory is crucial. After 2 weeks of PT (around mid-September), she progressed back to some light activities (cartwheels, walkovers, light jumping, yoga) initially in Nike frees and then in bare feet but always on padded surfaces or trampoline. I also let her wear shoes other than the hokas a few times for a few hours… Initially, she did ok but gradually her pain in the ball of her foot increased and the “sesamoid pain” on the lateral side of her big toe returned in both feet. She stopped all activity, went back to wearing the Hokas full time but the pain persisted. Dr Blake's comment: You have to get back to square 1 with the Immobilization Phase. Back into the removable boots to calm things down quickly. Up the anti-inflammation measures, and add the massage for the nerves. We went back to the sports medicine doctor on 10/1/17. We were told that this is a very difficult injury to heal and many kids have to give up their sport because of this injury. He advised backing off on activity for several weeks to give it more time to heal but no other specific therapy. He did not want to put her back in the boot because of how difficult a time she had coming out of the casts. We left the visit under the impression that she would never dance or do gymnastics at a competitive level again. It was a rough day and she was very sad and frustrated. Dr Blake's comment: But, does not make hearing the news better, but you know better. The length of immobilization to create the healing environment needs to be longer. Hopefully, some healing has occurred, but this rush to get her well attitude is actually slowing her down. If she would be in my office now, back in the boot, design inserts to off weight, start more anti-inflammatory, plan on re-MRI in 3 months (but I have not seen the first one). 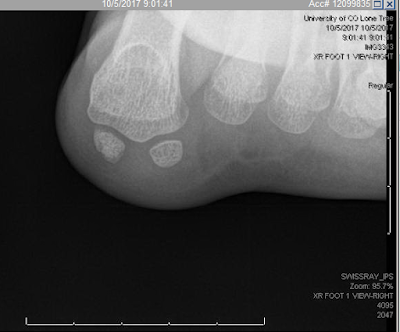 10/2/17 XRAY Left foot: Single sesamoid view demonstrates normal medial and lateral sesamoids with normal articulation between the sesamoids and the metatarsal head. Soft tissues are unremarkable. 10?2/17 Xray Right foot: Single sesamoid view demonstrates subtle irregularity at the deep margin of the medial sesamoid without joint abnormality. The lateral sesamoid is normal. He felt we had not given the sesamoids adequate time to heal and suggested 6 more weeks of no gymnastics/dance. He also thought that some of her ball of foot pain in the middle of her forefoot may be from atrophy/disuse after being in the casts and not doing enough PT (though I thought she had done a fair amount of PT…) He wanted her to continue wearing the Hokas and obtain a custom orthotic to “float the sesamoid”. He also ordered an Exogen bone stimulator and suggested calcium and vitamin D supplements (vitamin D level was normal). He also wanted her to continue PT for hip, core, foot and ankle strengthening. Currently, she says she is probably at a 3 in regards to her pain which is in both feet and mostly in the middle of her forefoot between her 1st and second toe - rather than more medially over where I think it would be from the medial sesamoid. She also says she notices it when she is at rest as well as when standing/walking. After reading your blog, we are also going to start contrast baths and try spica taping her big toe and dancers pads to get her pain down until we receive the custom orthotics. Dr Blake's comment: This doctor could be my brother. Same thought process!! Create the 0-2 pain level with whatever it takes, and gradually add one activity at 70% force at a time (typically every two weeks you make a change). Dr Blake's comment: She should be in whatever enables 0-2 pain for her present school and home activities. The Severs should have an insert like the red Sole which can go into the boot or Hokas. It may even need a gel heel cup on top of. Dr Blake's comment: I would interpret a bone bruise left sesamoid and stress fracture right, but I know you are sending me the MRIs. Definitely, the right sounds worse, and will probably need more overall protection and take longer to heal. Dr Blake's comment: First of all, bipartite sesamoids can get injuries like stress fractures. The x-rays look like normal bipartite sesamoids, so it is the MRI that is crucial. Again, you have to treat the worse case scenario until you get an MRI, assuming the symptoms warrant that (and she was totally disabled for what she wanted to do), and treat it as a stress fracture within the bipartite. I think bipartite sesamoids are more prone to injury than solid sesamoids, and their injuries cause much more disagreement about what to do. The junction between the pieces of a bipartite sesamoid should be smoother edges than a fractured sesamoid that started out whole. 4) I recall seeing on your blog that a bipartite sesamoid can fracture within the connective tissue bridge and that this type of fracture does not heal. Is this something we need to consider in her and if so what is the prognosis/long-term consequences of this? Dr Blake's comment: The connection between the parts of a bipartite sesamoid can be fibrous, cartilaginous, or osseus. I was probably talking about a fibrous bridge that torn, like an ankle ligament. These may not heal, but do not generate bone reactions on the MRI. I do not think she has this. Typically this sprain of the tissue between the sesamoid pieces, if immobilized, have nowhere to go, and should scar in. Dr Blake's comment: The idea behind this is to break apart the scar tissue and fragile bone cells, that seems to be not healing, and sort of re-breaking the bone. So, you are starting again, and the 3 months of immobilization should begin again. It will break down unneeded scar tissue, that may be getting in the may, but is worth starting afresh? 6) How much PT should she be doing right now– she says that theraband foot strengthening exercise cause “soreness” in her big toes so should she avoid these for a while? Dr Blake's comment: She could easily be in therapy 2 days a week, even 3, to work on all the body parts that are deconditioning. Definitely, I am not a believer in pushing through pain so I would not do what hurts today for one month, and then retry. A good therapist can set benchmarks for you of what to do and not do, and make changes as things change and symptoms improve. I know children are less discerning about pain levels, but they definitely know 0, 5, 7, and 10 in general. You want no limping, and as close to 0 as you can. Sharp pain that last for 3 seconds then goes away is fine. 7) Do you think she could (with time) get back to a high level of gymnastics or dance? She has been out since July and is devastated and feels like she is getting behind and wants to get back to both ASAP. I know from reading your blog we need to be patient and not put a timeline on this but for her planning, it may be helpful to have a sense of what a timeline for a 13-year-old might look like, especially as many of the recommendations on your blog pertain to adults. She has Nutcracker performance in Mid December though her teacher is willing to significantly modify her choreography and allow her to do it on flat rather than pointe and without jumps or leaps. Her gymnastics season begins in January and goes through April. Dr Blake's comment: There is nothing in this injury that normally does not make full recovery with full activity. So, that is my expectations. You seem so very knowledgeable, which is so wonderful, and you are asking the right questions so I will pose one to you: Why do you think she hurt herself in the first place? The answer may shed some light into how to rehab this injury better, and also how to prevent future injuries. I have some ideas but want to hear your thoughts. If any of my readers are going through this, what comments can you leave that may help in the future. Dr Blake's comment: This is a question in my mind for the short term. We modify to allow activity, in order not stress the sesamoids too much initially. Monthly you add another task as she survives the first. This is the best way to succeed, but it is also the best way to avoid giving up on something she loves. Unless we find out that her bone density is poor (a good idea now is to ask her doc how you should assess her bone strength), she should completely heal. It is October in San Francisco, so this has only been going on 3 months. Nothing really. I remember a patient of mine broke her ankle and did it heal slowly. Initially, the docs thought it was tendinitis, so one year went by before I saw her and got an MRI diagnosing the fracture. The delay forced her to miss her Junior and Senior years in college of gymnastics. Except, the only thing she could practice since she remained on the team was the parallel bars with no dismounts. For about one and one-half years she practised and practised, but never dismounted. She healed the break finally, could work 3 months on the dismounts and won the league finals in parallel bars. She helped her team to the Championship. And, she would admit, that was her worse event in her Freshman year. Circumstances forced her to adapt. You want the physical therapist, doctor, and coaches of these sports, to know what is going on, and gradually add more and more and more. That is the fun part. If she plateaus at some point, more decisions are to be made. 9) After reading her case, do you think it would be helpful to arrange an in-person consultation with you? Or is there someone you would recommend in Denver that could help guide her rehab? Dr Blake's comment: I know Dr William OHalloran in Denver. Let me look at the MRIs you are sending. Sounds like the doc is spot on, need an orthotic maker there, need a good physical therapist (the gymnastics center or dance people may know someone). Yes, you can come here, but I need a week to make orthotics, etc. I am happy whatever seems right. Good luck! Thank you in advance from the bottom of my heart for any assistance or advice you can provide. Scroll down for images below my signature. Thank you so very much for your detailed and thoughtful response in regards to my daughter on your blog. You are so kind and compassionate and I wish I had come across your blog sooner. The disc with her MRI's should arrive today. I have tried to answer the questions you posted below. Please feel free to post this on the blog along with images from her MRI if you feel they are informative to the community or let me know if you would like me to post this in the comments on the original post. (When I tried to post directly the bold font did not show up and I think it is helpful…). 1) You are correct that it was the right sesamoid that was worse initially - both clinically and on the MRI. Although currently her pain is intermittent and seems to be more on the left then the right. She had only a total of about 3 weeks immobilization on the left and 5 weeks on the right with the initial boot/casting in August – far short of the 3 months you feel is ideal for a sesamoid stress fracture. As far as her current pain level with everyday activities I would say she is definitely not a 5, but not a zero either – probably a 2-3 when she has pain which is not all the time. Overall, she is doing better in regards to pain over the past week since she has stopped activity and started wearing the Hokas full time. Her Severs heel pain is gone. Perhaps after you look at her MRI you can provide thoughts about whether the Hokas will provide enough immobilization for healing at this point or whether a boot would provide a better healing environment. And whether we are back to square one in terms of 3 months of immobilization from now, or whether she can get any “credit” for the initial immobilization period. Dr Blake's comment: I reviewed the MRIs showing injury to both tibial sesamoids, right greater than left. The right also has some first metatarsal involvement, which will make unprotected weight-bearing uncomfortable for quite a while. I know you will create the 0-2 pain level, and Hokas are fine if we can keep her protected with orthotics and dancer's padding. See if the rest of October, with the Hokas, she can stay in the 0-2 pain level. We have to wait until Jan 25th, 2018 to repeat the MRI and see how things are going, before we really feel comfortable about the healing. That will be 6 months post first MRI. That does not mean she is not going to be progressing, with each month doing more than she did the month before. Is she riding a bike or swimming now? 2) We started the Exogen bone stimulator 2 days ago. 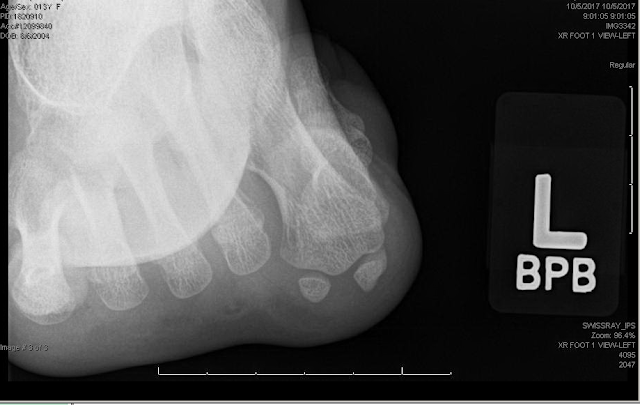 Can the bone stimulator impact pain levels in people with sesamoid injuries? After using it on her right foot only the first night she had no pain in the right foot the next day. The next night she used it on both feet and it seemed to cause some discomfort on the left (but not on the right – which was the more injured bone, but also the one that was immobilized longer). Dr Blake's comment: Bone stim increases circulation, and swelling can hurt. So, like contrast baths daily, the bone stim may be giving a good flush to the tissue. 3) You also mention anti-inflammatory several times in your response – are you talking about NSAIDS or ice/contrast baths? I would be interested in your thoughts on the role of NSAIDS in sesamoid injuries? I have avoided giving them to her as I do not want to mask pain, or potentially impair bone healing. Dr Blake's comment: Ice/contrast baths. No NSAIDS in bone injuries. 4) We also saw an orthotist yesterday. I have a pair of custom orthotics with an arch support and cutout under the first metatarsal to offload the sesamoid that I do not wear as they never helped me (my problem is not in my sesamoids). However, I brought them to the visit and the orthotist said they fit my daughters arch/feet perfectly! My daughter tried them in her Hokas but did not like the way they felt. The orthotist took them out, and next tried a firm approx 1/8 inch thick pad about 3 inches long and 1 inch wide glued to the bottom of her Hoka insole to limit the movement of her big toe. That seemed to be more comfortable so she said to try it for a few days and if it worked she could build a custom orthotic with arch support using this strategy. Is this right time to obtain a custom orthotic? Dr Blake's comment: Yes, a lot of experimentation may be needed. It is important to note that dancer's pads off weight but allows motion. The type of insert you mentioned immobilizes the joint and works like a little cast for the toe. 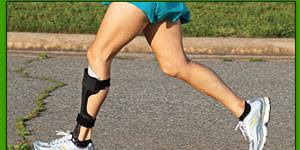 It is not to be used when the gait gets better and push-off improves. 5) As far as WHY she had this injury – my first instinct is that she has a bipartite sesamoid which you mention is more susceptible to injury coupled with doing sprints on the vault runway in bare feet with ankle weights which placed an incredibly high load on the sesamoid bones. This may alone have been enough to cause the injury, but I do think her long history of Severs heel pain may have played a role as well in that 1) she learned to train through foot pain and 2) she may have learned to run, tumble, and land in a manner which placed less impact on her heel (to avoid pain) and thus more impact on her forefoot? I am very interested in your thoughts on this, as well as any possible contribution from pointe work. Dr Blake's comment: That is fascinating and may be the reason she got both sides. Typically in landing with the vault in gymnastics, are you taught to stick it with both feet at the same time? And once again, thank you for your knowledge and insight!!! Thank you SO much, you are an angel for all the help and insight you have provided, it has given me hope that she will heal but also realistic expectations both about the time course and the importance of being patients as well as thinking about how to prevent re-injury. It seems that sesamoid injuries are so poorly understood my many. I will respond to your questions in the comments on your blog – but yes, vault in women’s gymnastics a two footed landing. It also invokes about a 20 yard all out sprint in bare feet down the vault runway (basically a carpeted wood platform with minimal padding) and a 2 footed punch off a springboard onto the vaulting table. Here is a video from you tube of what it looks like – the landing is usually pretty padded but the run and punch off the springboard is where I think a lot of the impact occurs.